Why Crypto Currencies Matter, and why Banks are scared of them. If there was any question about why Crypto Currencies could change the world, check out what’s been happening in China. Between AliPay and WeChat, large percentages of the population are able to shop, send money back and forth, live and exist, without ever involving a bank. Quote : “Western bankers and credit-card executives who travel to China keep returning with the same anxiety: Payments can happen cheaply and easily without them.”. This is scary to the banks, where only $97.25 of every $100 charged goes to the merchant.. the rest is absorbed by banks, card networks, and payment processors. The more we use crypto, the less banks earn, the more they fight. 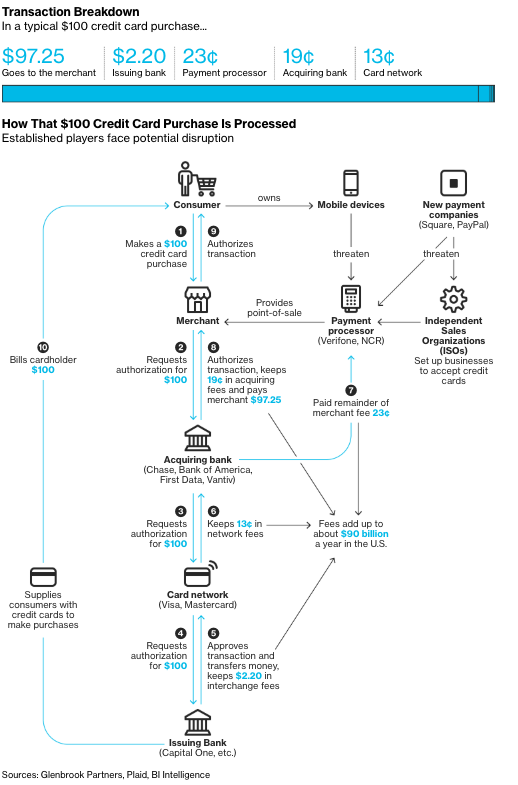 Great article found here : https://www.bloomberg.com/graphics/2018-payment-systems-china-usa/ — worth reading. But here’s the thing: people have been predicting Bitcoin’s impending demise for years, and they’ve consistently been wrong. Even if Bitcoin were to lose 90 percent of its value in the coming weeks, it would still be worth around $800—a value many people dismissed as an absurd bubble four years ago. If it lost 99 percent of its value, it would be worth $80—a value that would have been considered absurdly high less than five years ago. Blockchains are an important new technology, and cryptocurrencies are a fundamentally new asset class. Bitcoin, the most popular cryptocurrency, might be overvalued right now, but it might not be. Either way, it certainly isn’t going to suffer an Enron-style collapse. It’s not enough that bitcoin is pushing up/over $6,000 per coin, but wall-street is starting to wade into Bitcoin as well! Fascinating news, for the first time, a country is creating a Cryptocurrency for official use. A partnership has been set up to develop and implement emCash, an encrypted digital currency, which people can use to pay for various government and non-government services in Dubai. According to state news agency WAM, Emcredit, a subsidiary of Dubai Economy, and the UK-based Object Tech Group Ltd will work together to establish contactless payments. Based on the latest blockchain technology, emCash will be the digital currency in emPay wallet, launched by Emcredit to support contactless payments. emPay will allow the UAE residents to make varied payments through the near field communication (NFC) option on their smartphones. I guess it was inevitable, but to see it admitted publicly is a surprise to me! Big financial business mining Cryptocoins? One of Fidelity’s projects is mining bitcoin and ethereum, which Johnson said was started for educational purposes, but now turns a tidy profit. “We set up a small bitcoin and ethereum mining operation…that miraculously now is actually making a lot of money,” she said. 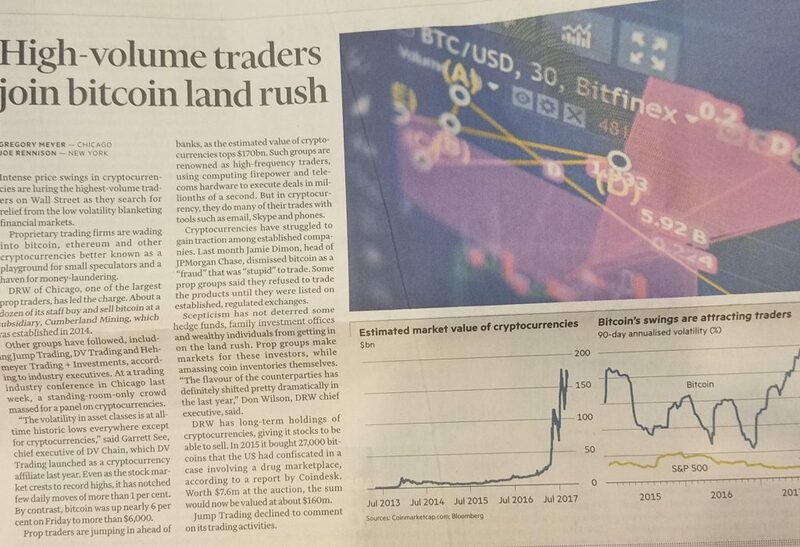 Outstanding news for Bitcoin today, from Finland. So, it may surprise some of you to know that there are other Crypto currencies other than Bitcoin. One of the most dominant is a coin called Ethereum, which has a feature allowing sub-coins/aka-tokens to be created by anyone. This, in turn has opened up the door to abuse. 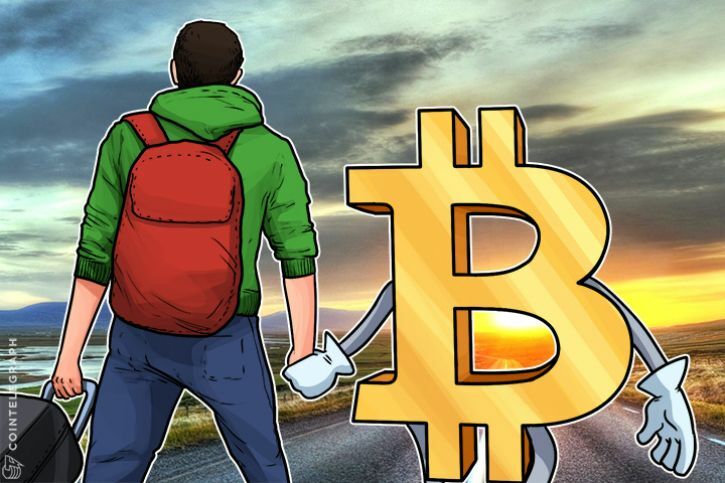 Take a few minutes to read the article below, and walk the brave new world of digital money with the same care you would your real money. Be safe! What would you do with 20,000 Bitcoin? Here’s the story of an engineer who did what we all wish we had, bought 20,000 BTC when the price was low.. then sold when the price got high!